On Tuesday the 7th of October the Student Lock in event will return to Cardiff with some amazing discounts for Cardiff Students. To sign up to the event and gain quick access to all the shops you’ll need to pre-register on this link: Click! Or you can alternatively turn up on the night with your student ID and sign up on the sign up stations. John Lewis are price matching and have up to 20% off, with Benefit Cosmetics showing off their latest products on the main walkway on the upper level of St Davids. Quiz Clothing: 20% off full priced stock. Not all shops are doing discounts, so make sure you check to see what’s on offer. Full list of discounts can be seen here: Click! 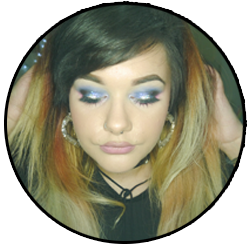 Posted on October 6, 2014 December 3, 2014 by sindyydollPosted in In and Around Cardiff, Local and National EventsTagged all saints, bblog, bblogger, beauty studio superdrug, benefit cosmetics, Boots, cardiff discounts, cardiff event, cardiff events, fred perry, student lock in cardiff, urban outfitters discount. Previous Previous post: YSL Yves Saint Laurent Baby Doll Kiss and Blush Swatches and Review! Next Next post: Lush Christmas 2014 Blogger event!